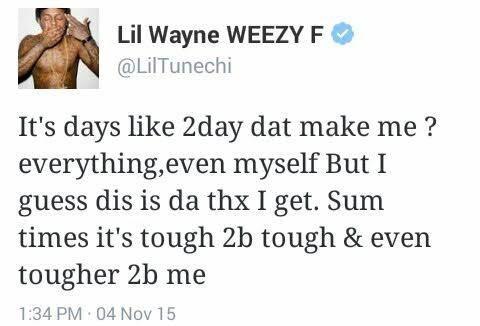 private jet company after he stopped paying the lease. He's said to be in financial distress and said to be going bankrupt. He's allegedly now drinking heavily and doing drugs...I don't get it though,if he owed $2m,and he has art collections worth $30m,why didn't he sell one and pay off his debts? I guess he didn't wanna pay at all,now he is gonna risk losing much more. 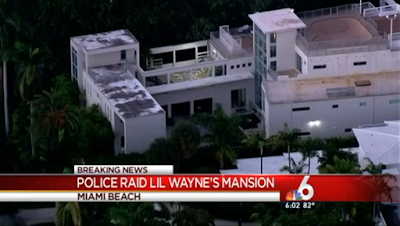 Police had raided rapper Lil Wayne's Miami Beach mansion on Tuesday with a levy warrant, which is used to seize property which allowed them to seize Wayne's property to satisfy a $2 million judgment Wayne owed a private jet company. 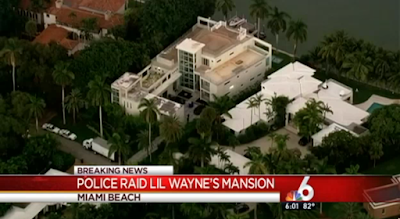 According to several media reports, Wayne has about $30 million worth of art in his mansion, so police took along someone who valued the items inside the house so they could figure out what to seize. They took some of the pieces art worth $2 million. His mansion was reportedly unoccupied when the raid took place. Police said this was part of a civil case. No further details were immediately known. I see no reason for the depression.He wanted to be a baller and rock star and racked up $2m in flight fees,pay it dammit!